The reports above only relates to military sales, twelve aircraft have been ordered by a lease company (Stellwagen) to offer these aircraft for use on the civilian market. Of these one has been delivered. Airbus D&S reports four aircraft ordered for undisclosed customers. One of these relates to Bangladesh. The report for January 2019 compared with December 2018 has been adjusted with Bangladesh being removed in the 2019 report. C-295M Original version of the C-295. C-295MPA Modified C-295M for the Maritime Patrol and Anti-Submarine Warfare (MPA) role. C-295W Modified C-295M with winglets. C-295 (AEW) Modified C-295M with a radome. Company demonstrator. No sales for this variant. C-295 (??) Modified C-295M to be used as waterbomber. Company demonstrator. No sales for this variant. 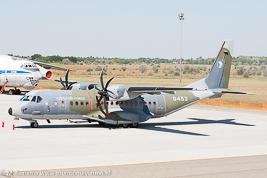 The C-295W is currently the 'basic' variant offered to potential customers. Both the AEW and Waterbomber are developed by Airbus D&S and are in flight test phases with no aircraft sold to (potential) customers. 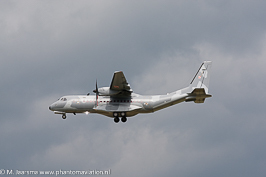 Announced on December 8th, 2016 it selected the C-295W with 16 aircraft to be bought. These will be delivered three years after the contract has been signed. Is expected to place an additional order for two aircraft. 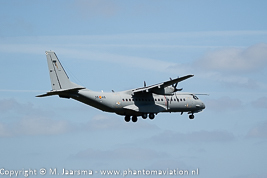 One C-295M has been modified for ELINT operations. 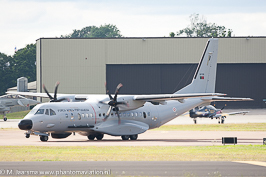 Will possibly order the C-295 to replace its current fleer of BAe-748's. When the deal is finalized 16 will be build at the Seville plant in Spain and the remaining ones in India. Signed a contract on November 15, 2017 for five C-295Ws which will be delivered from the fourth quarter in 2018. 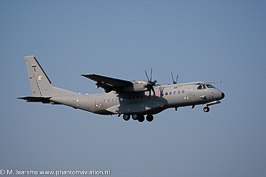 Within the UAE Air Force the aircraft will replace the CN235s in service.